Models have been around for a long time, with ordinary mortals coveting their long limbs, ridiculous proportions and features. If you want to see where it all began check out Modelinia. they’ve compiled all the famous models into an easy to read timeline, and have split that down into categories so you can search for your favourite by info such as region, campaigns and even eating habits! 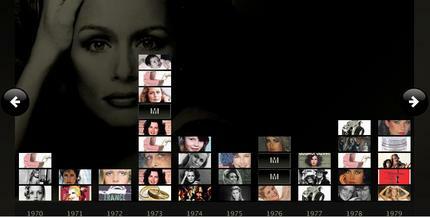 The site includes videos, images and history on all the famous names, and makes for interesting reading. My favourite feature is the comprehensive timeline, which lets you look at the evolution of models in the media, from the 1960’s to today.